Dirt bikes and UTVs can be great for families who want to get outdoors and enjoy nature—with the power of a dozen horses underneath them—throttling over hills and whipping around corners! I have to admit right from the beginning that I am biased in this discussion. I love dirt bikes and I am not—at all—interested in getting a UTV. I’ve tried the UTV thing, and for me personally I much prefer dirt bikes. So understand that this post is extremely biased, but I at least wanted to share my perspective. PLEASE jump down to the comments and show me how wrong I am. Both dirt bikes and UTVs can be great toys for a family to enjoy. For me personally, I like the individuality and lower price of dirt bikes, but UTVs are fun for bringing little kids on the ride, and for those who want more of a casual ride through the woods rather than a thrilling adrenaline rush. One benefit of a UTV is that there is only one engine to maintain. Only one oil change after a wild ride through the desert instead of 4 oil changes on all of the family’s dirt bikes. One gas tank to fill, one suspension to work on, etc. 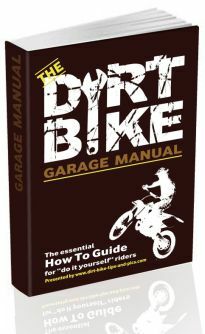 While this is true and a UTV likely will save you time in the garage if you have a family of dirt bikes to work on, I will mention that the maintenance on a dirt bike is not much. All I ever really do is change the oil, change the air and oil filters, and fill the tires with air. That’s about it. Once a year I take it to a mechanic for a spring tune-up. Since UTVs are just now being popularized, I have seen little in terms of safety statistics comparing UTVs to dirt bikes. Don’t automatically assume that UTVs are safer than dirt bikes, however. Many people would think that a stable four-wheeler is safer than a dirt bike, yet study after study has proven that four wheelers are far more deadly than dirt bikes. This is likely because the driver has a false sense of security on a four-wheel base which causes increased speeds, and also because the four wheeler weighs nearly 1,000 pounds and is extremely dangerous in the event of a roll-over. However, the UTV has a roll cage which likely makes it much safer. However, the sense of security in an UTV may also increase speeds dramatically, and fewer pads are worn when riding in a UTV. I frankly don’t have any statistics for you on which is safer, but I wanted to bring up the issue here. My best guess is that a UTV is generally safer than dirt bikes, but after seeing how much more dangerous four-wheelers are than dirt bikes, I couldn’t be certain about UTVs. The main reason I chose dirt bikes for my family is because it has really helped to increase my boys’ confidence. Nearly every time they go out to ride, there is a new challenge that seems scary at first, but they learn to overcome. At first they got a little nervous just putting on the heavy gear and getting on the bike. On the next ride they were scared to start making turns and slightly tipping the bike as they leaned into it. Then they were nervous about riding in second gear. Then they were nervous about a hill climb, etc. I love the individuality of dirt bike riding for my kids’ sake. We can all be riding down a trail and do the activity as a family, but they each have to overcome their fears. It seems like this generation of kids is having fewer and fewer opportunities to take risks, try hard things, and to challenge themselves. This leads to greater anxiety over day-to-day situations because any challenge seems daunting. There’s no way I’m going to let that happen to the kids in the Harmer household. As a parent, there is nothing like seeing a kid’s half-terrified, half-boating expression after climbing a hill or doing a jump for the first time. We don’t push our kids too hard, but as THEY get the desire to try new things, we encourage them to go for it even if it seems scary. Obviously, you can recreate this same experience for kids in a UTV, but I don’t feel that it’s as good because you’re right there with them in the same vehicle. It reduces the individuality, which is my favorite thing about dirt biking with kids. A UTV is a giant vehicle. Some are smaller 2-person vehicles, but a 4-5 seater is a massive vehicle. You’ll need a large trailer to fit it, and usually a truck bed isn’t large enough. However 3-4 dirt bikes can fit in most truck beds. Many UTVs don’t even fit in some toy hauler campers, so you really have to be certain you have the space for a UTV. In very cold conditions, UTVs are much better because you can bundle up in a bunch of coats and comfortably ride. On a dirt bike, it’s hard to ride with excessive clothing. Also, UTVs can go on hard-packed snow whereas dirt bikes are useless on the snow. Dirt bikes can certainly ride in mud just fine, but a UTV will slip much less. If you haven’t yet priced out a UTV, be prepared for sticker shock. It’s not only the price of a car, it’s the price of a decent new car. Plan on around $20,000. Yep, that’s four zeroes. You can find cheaper ones, but remember tax, title, doc, safety gear, and a trailer to transport it. Most people will spend $15,000 to $30,000 on a UTV. For $8,800, I have my family set up with quality, lightly used dirt bikes that will likely still be riding trails 20 years from now. There are other costs such as safety gear, but you’d need some of that on a UTV as well. There are other costs on UTVs like a much larger trailer as well. One difficulty our family has with dirt biking is that my boys are ages 8 and 6. They can keep up with me and my wife when we want to go riding. However, we also have a 1-year-old baby girl. She’ll definitely be a rider when she’s four, but for now we have no way of all going out riding unless we have someone back at camp to watch the baby when we go out. You have to be careful with a baby in a UTV, obviously, but you can at least take them around for a ride. There is no sport of UTV riding, really. However, if you get into dirt bike riding as a hobby at first, it can quickly develop into a major sport which you train for and race in. There certainly is some UTV racing, and they can be ridden very hard, but they generally aren’t seen as much as a sport as a hobby. There are definitely UTV races, but it just isn’t nearly as common as dirt bike racing. I have seen many guys who used to ride dirt bikes moving more into UTVs as they get older, as evidenced by this forum thread. 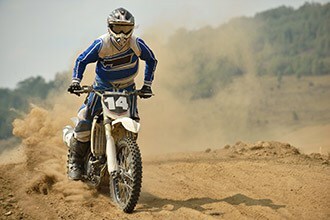 With less energy and balance required for riding a UTV, it’s a good option for retiring dirt bike riders. But just because a UTV can be a good option for a retired dirt bike rider doesn’t mean they can’t be driven very aggressively.